A few months ago, on an unusually stormy and humid afternoon in June, I had a cake order due for a pool party themed birthday party. 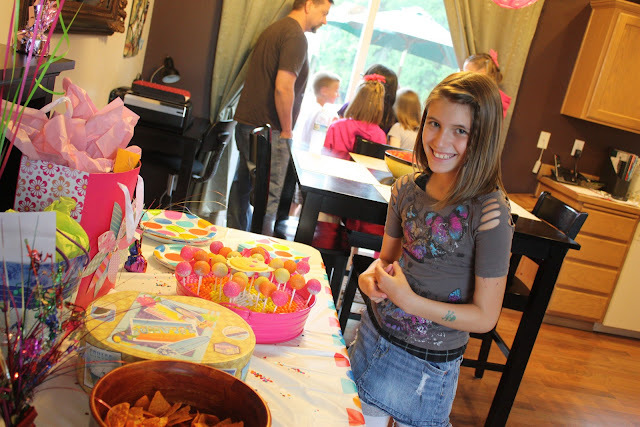 Samantha was turning ten and she was having a big party to celebrate. 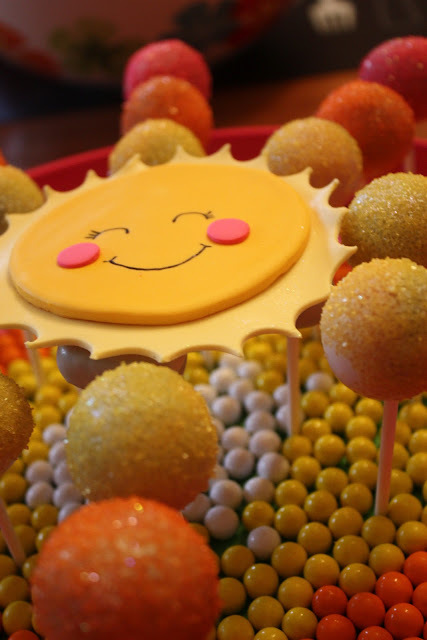 Unfortunately, the weather kept the sun at bay but who needs the sun when you have a cake pop cake like this? 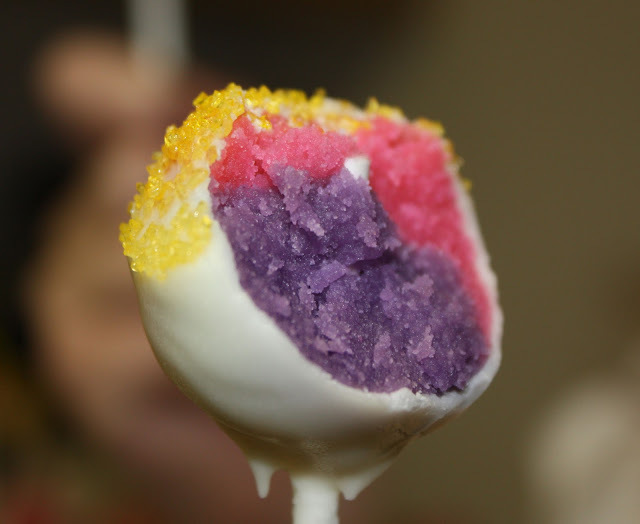 Instead of using plain white sugar as the backdrop for the cake pops, I wanted something vibrant and hopefully edible. I was wondering around the grocery store and wandered into the bulk department, looking for inspiration and saw these: Sixlets candies! These were perfect! 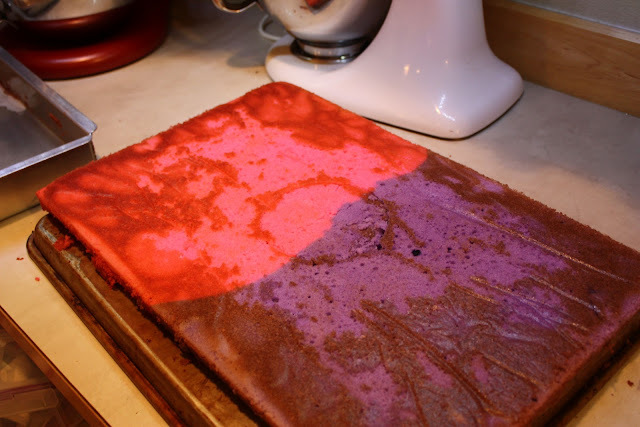 I purchased a shallow metal pink tray, lined it with a piece of Styrofoam, and covered it with two layers of tissue paper. Because I knew it would be difficult to get the completed cake pops through the tissue paper, I thought ahead. I used a lollipop stick sharped with a pencil sharpener to poke holes through the paper and the Styrofoam. 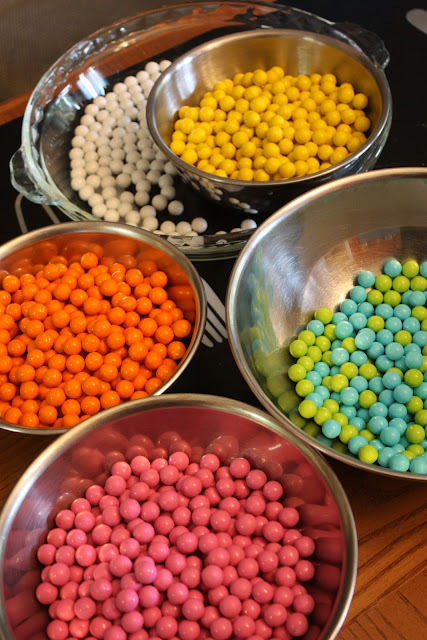 Then, before placing the cake pops, I put my boyfriend's daughter to work creating a single layer of candies in concentric circles in the bottom of the tray, separated by color. She was a big help! 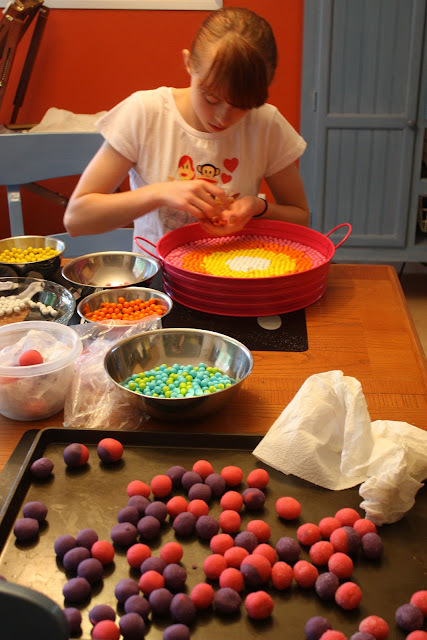 While she was busy, I got to work making the cake balls. For something a little different and to keep with the bright and colorful beachy theme, I went with a "tie dye" two color pop and used two colors of cake. 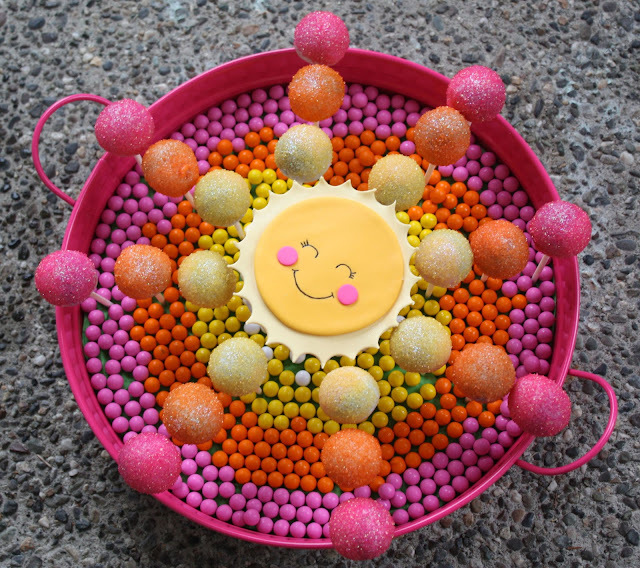 I used the "Solly" the sun from Hoobynoo World as my inspiration. Don't you just love him? I just couldn't help but smile every time I looked at his little face! I made him from fondant and placed him on top of five flattened cake pops I placed close together to make a platform. As you can see, the birthday girl just loved her sunshine cake pop cake. It was a big hit and the sunniest rainy birthday ever. Thank you for making Solly! He was the heart of that treat! This is crazy adorable! 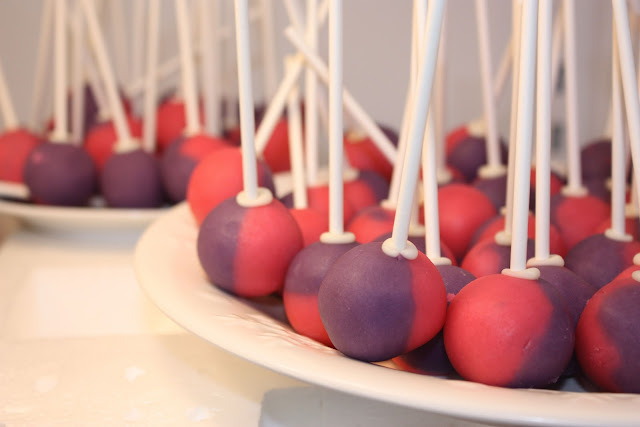 I've developed a recent obsession with cake pops and this is one of the cutest presentations I've seen. 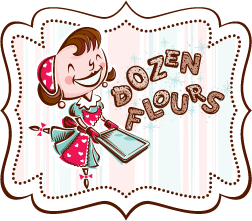 Julia, I also wanted to drop you a line and let you know that I featured your super brownie cake in a round-up of birthday sweets that I posted on my blog. Not only does it sound yummy but you did a beautiful job decorating it! Such a great idea! I love the two toned insides of the cupcakes too. Thanks for sharing! What a nice sun! Like the colors together.